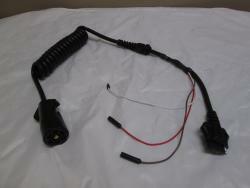 5 to 7 way harness with additional 12V constant, running and ground wire. Includes connector sleeve and mounting clip. Order this harness if your trailer has a backup camera.